Adventure Wonderland: Father Christmas in his grotto with elves. Magical Winter Wonderland: meet Mrs Claus. Meet real reindeer. Make your own Christmas decorations. Visit to Santa’s grotto. Wild Christmas Wonderland: Nativity Cuddles Corner, Santa visits, Christmas colouring challenge, pantomime and mulled wine and a mince pie for adults. 22nd &23rd November. 6th, 7th, 13th – 23rd December. Santa’s Lunches – scrumptious Christmas lunch. Visit Santa. meet Santa’s reindeer. Available on verious dates in November & December. Sat 29 & Sun 30 Nov 2014. 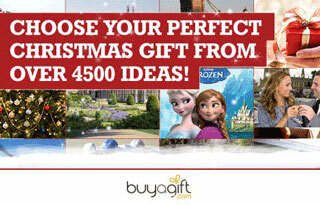 Snow covered scenes and Christmas illuminations, mini panto, ‘A Dream of Christmas’ 4D and meet Santa. From 13th December to 2nd January (excludes Christmas Day). Victorian Christmas with Father Christmas. Meet Santa and his reindeer. Seasonal arts and crafts activities. Santa’s Grotto at the Zoo: Meet Santa and meet the reindeer events. Sat 22 & Sun 23 Nov 2014. Ghost Stories for Christmas – Dickens’ Feast of Festive Frighteners. Christmas Celebration Weekends: Christmas decorations, children’s entertainers, festive food and festive fun and Father Christmas in his Christmas Grotto. 22nd-23rd & 29th-30th November, 6th-7th, 13th-14th, 20th-21st December. Santa’s Grotto and festive fun. From the 2nd of December. Various Events including wreath making, evening nativities in the farmyard, Twilight evening and floral workshops. Chessington Winter’s Tail : Festive family show, Father Christmas Grotto, market stalls and reindeer. selected dates from 6th December 2014 – 4th January 2015 – Open 10am – 3pm. A Natural Christmas: Decoration making plus gifts inspired by nature. Santa & his Real Reindeer Experience. From 13th to 24th December. Selected dates from the 22nd of November. Christmas rides, shows and attractions and Elf School. Nativity Performance, animal show and see Father Christmas. Elf workshops, Father Christmas meet and special Christmas event area. Christmas Bricktacular. Christmas theming and decor plus themed activities. Santa Express train ride, singing christmas tree, fairytale characters in Longleat house, Christmas Fayre and outdoor ice skating. On selected days from 14th November. See the Elves in in their magical woodland, Mrs Claus story telling, create a festive cracker. On selected days from the 22nd November. Merlin’s Magic Wand Winter Party. Merry ‘Fishmas’. Merry ‘Fishmas’ – VIP experience. The Shropshire Santa Experience: Vist Santa in his enchanting Grotto and receive a present. On selected dates starting 29th November. Santa’s Christmas Winter Wonderland : 4D film adventure, Peppa Pig World at Christmas, singing reindeer and Santa Claus Toy Factory. On selected days from the 15th of November. Nativity plays and visits to Father Christmas. On selected days from 29th November. Christmas at Twycross Zoo: Breakfast with Santa. Soft play & supper with Santa. Soft play, disco & supper with Santa. Christmas lunches at Twycross Zoo. Tea time with Santa. Winter wonderland evenings. On selected days in December. Christmas Parties at Warwick Castle. Santa Safari: Discovery trail, festive decorations, Winter Safari. weekends from 15th until 23rd November, then daily from 26th November and runs right up to Christmas Eve. Sat 13 & Sun 14 Dec 2014.